John E Marriott's Wildlife Photography Blog: He's Alive, He's Alive! While it may be disappointing to many of you, I am finally back here on my blog to report that I am indeed still alive, debunking once and for all the rumours of my demise at the jaws of a pack of ferocious wolves (or was it under the crushing weight of 50 kegs of patio beer?). So what the heck have I been doing since my last blog, so so long ago (June 30th to be exact, ulp!)? I would claim to have been scaling snow-clad peaks, but those who know me personally can attest to the fact that I haven't been scaling anything other than my wife's patience the past five months due to a wee stress fracture in my foot that was a present from the paved streets of San Diego (why was I dumb enough to run on pavement for an hour and a half in trail shoes?!). And I could say I've been out doing tour after tour after tour, raking in my millions, but my last workshop was just a weekend in August and the last one before that? The 1st of July. What I have been doing is two-fold: one, I've been working on relaxing in order to somehow magically heal my foot. 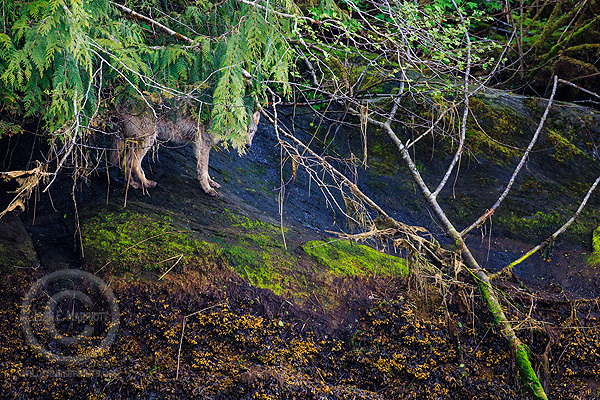 Trips to the sunny Okanagan and the Shuswap without a camera in tow, that kind of thing. Unfortunately, the second thing I've been doing is not relaxing, in fact, really not relaxing...getting up at 5:00 am and going out working on a new project that may or may not see the light of day in the coming year. Lots of hobbling about in the dark pre-dawn hours, lots of fruitless days, and a few true days of glory where it's all been worth it. First of all, while I've been terrible at updating my blog lately, I haven't been nearly as bad at updating my Facebook page for John E. Marriott Wildlife and Nature Photography. So if you're on Facebook and want to stay up-to-date with new images and such, please check it out. My 2012 Workshops and Tours are now officially all sold out, and I would like to take this opportunity to thank all of you that took part in one of this year's tours. I'm absolutely thrilled that Canadian Wildlife Photography Tours has become so successful so quickly, and many of you that read this blog are responsible for that, so thank you! 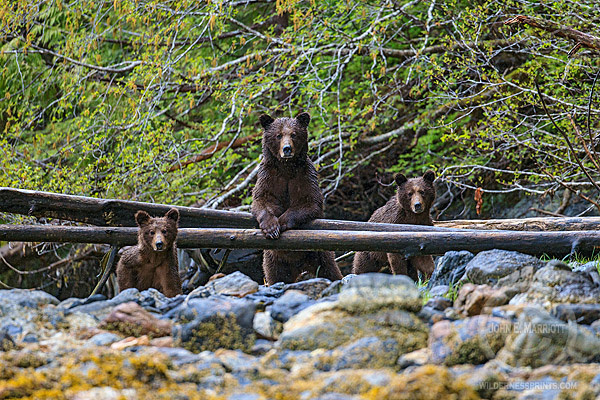 Expect several of my 2013 dates to be announced next week, including the 2013 Spirit Bear Photography Tour and the 2013 Khutzeymateen Grizzly Bear Photo Tour. I'll also be announcing next year's dates for my popular CMH Heli-hiking Landscape Photography Workshop in the Bugaboo Mountains of British Columbia. As part of The Camera Store's 16th Anniversary Celebrations in Calgary, Alberta, they're showcasing some of the work of photographers that they've been working with for a long time in a Gallery Show at Resolution Local Art Gallery at 233 10th St NW. I've got a framed canvas piece in the show that is the only North American wildlife piece for sale, so please drop by sometime between now and September 30th to check it out. I'm also pleased to announce that I'm teaming up with The Camera Store for a great weekend wildlife photography seminar and field session in early December. Stay tuned for further details and block off the weekend of December 1st and 2nd if you're interested! 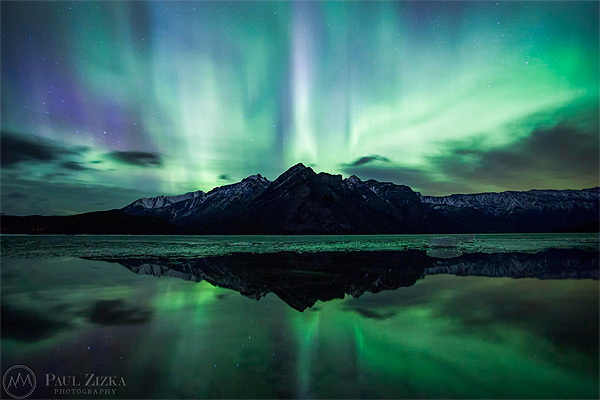 A quick shout out to one of Canada's newest and brightest shining landscape and adventure photographers, Paul Zizka. Paul is a Banff photographer that has really picked up the pace of his amazing photography in recent years, as is clearly in evidence on his site, Paul Zizka Photography. Check it out and prepare to be wow-ed! Thanks everyone, stay tuned for several more updates in the coming days.